Trail and facility map of Discovery Park. 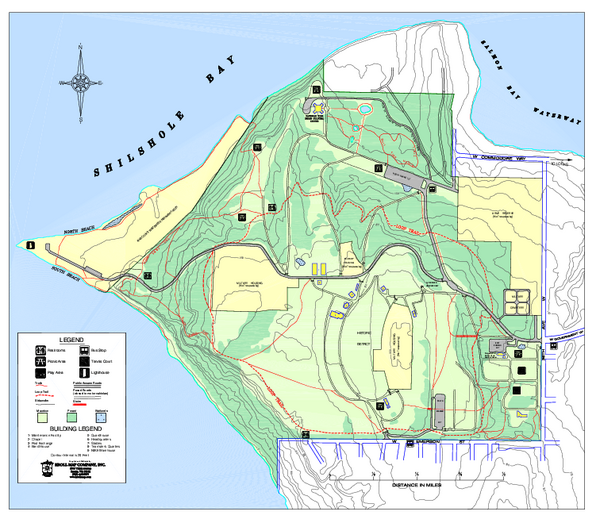 Discovery Park is a 534 acre natural area park operated by the Seattle Parks and Recreation. It is the largest city park in Seattle, and occupies most of the former Fort Lawton site. 11.8 miles of trails including the Loop Trail. Tourist map of Magnolia, Washington. Shows all businesses. Tourist map of Ballard, Washington. Shows all businesses. Full Map of the Seattle Marathon with run details and location.